How To Train Your Dragon: The Hidden World – Animated film takes in $30 million. Tyler Perry’s A Madea Family Funeral – Comedy debuts with $27 million. Alita: Battle Angel – Robert Rodriguez directed epic collects $7 million. The Lego Movie 2: The Second Part – Hit movie amasses $6.6 million. Green Book – Oscar winning best picture nabs fifth place with $4.7 million. Fighting With My Family – True story about WWE star Paige makes $4.6 million. Isn’t It Romantic – Comedy collects $4.6 million. Greta – Thriller with Chloë Grace Moretz and Isabelle Huppert takes in $4.6 million. What Men Want – Comedy collects $2.7 million. Happy Death Day 2U – Sequel grosses $2.7 million. How To Train Your Dragon: The Hidden World – Animated film’s $55.5 million debut proves the franchise, even with its supposed last installment, continues to prosper. Alita: Battle Angel – James Cameron and Robert Rodriguez collaboration takes in $12 million in its second weekend. Internationally, the feature has amassed over $202 million. The Lego Movie 2: The Second Part – Animated feature takes in $10 million. Fighting with My Family – Dwayne Johnson produced feature makes $8 million. Isn’t It Romantic – Romantic comedy spoof makes $7.5 million. What Men Want – Taraji P. Henson headlined feature chimes in with $5.2 million. Happy Death Day 2 U – Feature collects $4.9 million. Cold Pursuit – Liam Neeson film makes $3.3 million. The Upside – Drama amasses $3.2 million worth of business. Run the Race – Faith based drama makes $2.2 million. 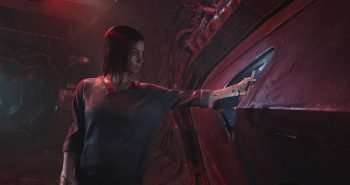 Alita: Battle Angel – Robert Rodriguez and James Cameron’s collaboration takes in $27.8 million. The Lego Movie 2: The Second Part – Franchise is going strong with $21.2 million. Isn’t It Romantic – Rebel Wilson comedy collects $14.2 million. What Men Want – Taraji P. Henson’s latest generates $10.9 million in business. Happy Death Day 2U – Horror flick collects $9.8 million which isn’t bad considering the film cost $13 million to make. Cold Pursuit – Liam Neeson feature collects $6 million. The Upside – Kevin Hart and Bryan Cranston drama is still ticking with $5.5 million. Glass – M. Night Shyamalan’s feature makes $3.9 million and domestically it’s garnered $104 million in business. The Prodigy – Thriller barely holds on with $3.1 million. Green Book – True story buddy film collects $2.7 million. The Lego Movie 2: The Second Part – Flick ensures franchise’s continuing success with $34.4 million. What Men Want – Comedy collects $19 million in its debut weekend. Cold Pursuit – Liam Neeson action feature takes in $10.8 million. The Upside – Drama continues to do great with a $7.2 million weekend. To date, it’s collected over $85.8 million domestically. 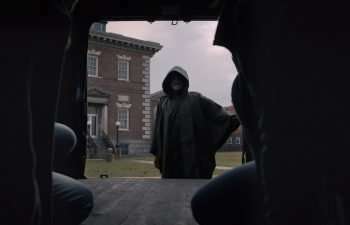 Glass – Director M. Night Shyamalan’s hit streak continues as the flick collects over $6.4 million. To date, it’s made $98.7 million domestically. The Prodigy – Horror film does mediocre business in its first weekend with $6 million. Green Book – Oscar nominated feature makes $3.5 million. Aquaman – Comic book flick takes in $3.3 million. Spider-Man: Into The Spider-Verse – Animated film amasses $3 million. Miss Bala – Gina Rodriguez feature makes $2.7 million. Glass – M. Night Shyamalan’s latest collects $9.5 million and to date it’s made $88.6 million domestically. The Upside – Kevin Hart and Bryan Cranston feature collects $8.8 million. Miss Bala – Newcomer makes just $6.7 million in its debut, which isn’t too horrible due to its relatively modest $15 million budget. Aquaman – Comic book flick collects $4.7million and has made over $323 million domestically. Spider-Man: Into The Spider-Verse – Award winning animated feature amasses $4.4 million this weekend. Green Book – Buddy drama takes in $4.3 million and has made $56 million in domestic business. A Dog’s Way Home – Drama makes $3.5 million. Escape Room – Thriller makes $2.9 million and has made $52 million domestically. Glass – Feature takes in $19 million. The Upside – Kevin Hart and Bryan Cranston feature collects $12.2 million. Aquaman – Comic book feature makes $7.3 million and to date it’s amassed $316 million domestically. The Kid Who Would Be King – Family film underperforms in its first weekend with $7.2 million. Spider-Man: Into the Spider-verse – Oscar nominated feature takes in $6.1 million. Green Book – Feature, which received an Oscar nod for Best Film, makes $5.4 million. A Dog’s Way Home – Family flick collects $5.2 million. Serenity – Matthew McConaughey and Anne Hathaway feature bombs with just $4.8 million. Escape Room – Thriller makes $4.2 million. Dragon Ball Super: Broly – Feature takes in $3.6 million.